I received your letter late yesterday and was quite surprised to hear that my illustrations for The Three Investigators had such an impact. Even more surprised that there was so much interest in the series. When I was hired by Random House art director Grace Clark to do the covers there was no indication that they had any real hopes that the series was going to be around much longer. 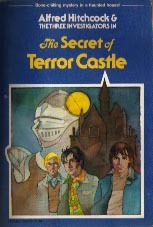 I was given "Terror Castle" as a test to see if they could update the look of the covers and of the boys as well. There was no money in the budget to re-do the interior illustrations so the originals were to remain. My selection [as the cover artist] was also an indication of their disinterest in the project - I was a relatively unknown and untried artist at the time, having only been in the business for about three years (I'm 49 years old now). I submitted some sketches and they gave me an okay to do the finished illustration. I worked with a watercolor set then popular called Dr. Martin's Dyes. The opaque white highlights are acrylic and may have yellowed or cracked by now. The remaining 11 covers were dumped in my lap, I did not have to submit sketches (unheard of both then and now) and was to complete the assignment in about three weeks. No sketches meant I had free reign, I just did whatever I thought would work. That would be my undoing. When I brought in the covers Grace loved them but both she and the editor believed they might be too unorthodox to be accepted by the regular readers of the series. So I was not asked to continue with any further editions. Random House didn't even send me any copies of the printed books. The Three Investigators books marked my last use of watercolor in my work. I went on to acrylic and have been using oil for the last twenty years. I've illustrated close to 500 book covers, thirty picture books and hundreds of illustrations for textbooks and magazines. But I must admit I've never had that much freedom on any other assignment. I remembered selling the original artwork only after receiving your letter. Well it was a surprise and a pleasure to hear from you, I look forward to checking out your Three Investigators web site. Please feel free to write again. 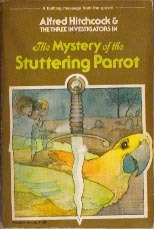 In 1978, artist Stephen Marchesi (pronounced mar-KAY-zee) was hired by Random House to create new cover art for 12 of the then 28 titles in The Three Investigators series. 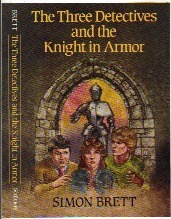 As a youth, these were the books (with Marchesi cover art) which were available to me for purchase in the book stores. For many of The Three Investigators titles, the first image which comes to my mind is the Marchesi artwork - it left quite an impression. Many years later as an adult and as an owner of nine of the original paintings, it was a goal of mine to ferret out and ask Mr. Marchesi about his experience with The Three Investigators. In addition, I wanted to learn about the artist himself and gain some insight into the working world of book illustrators. In May of 2001, I sent Stephen a letter containing some photographs of his Three Investigators cover art. The information which follows is culled from 6 or 7 emails I have received from him in response to my initial letter and a number of question-filled emails dated June 8, 2001 through mid-August, 2001. STS: You mention that your Three Investigators covers failed to spark sales but Random House used your artwork on those 12 books for almost 6 full years (1978 - 1982/83). 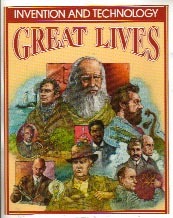 Most of the Marchesi Cover books had at least 8 print runs during those years. I have no idea how many books were published in each run or if the number varied from run to run. SM: Yes, but if Random House considered them a success they would have continued updating the other existing titles. First runs are generally the largest and it might have been less than 10,000 copies. STS: With The Three Investigators series, did you have time to read each of the books before creating the cover art? Also, when drawing Jupiter, Pete, and Bob, did you use previous art from the series as inspiration? SM: No. I was only given "Terror Castle" with its interior drawings as a guide to how the main characters appeared. There was no time for reading. They gave me a synopsis of each story with descriptions of supporting characters. STS: Of those twelve Three Investigators paintings, did you have a favorite or do any special memories come to mind when recalling them? SM: I liked my illustrations for "Terror Castle", "Skeleton Island", and "Talking Skull" the best. "Shrinking House" was the toughest to resolve and I must have gone through dozens of sketches before I was satisfied. A funny and unnerving moment came when I was completing the "Screaming Clock" cover, I distinctly remember shaking my head and thinking to myself "I'll never get away with this stuff, they're bound to replace me." STS: Let me assure you that while the art director and editor may have felt that your 12 covers were a bit unorthodox, they are incredibly unique contributions to the series and are highly regarded by many fans. 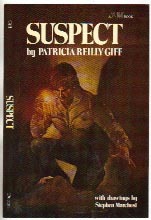 STS: Some of your artwork was also used on the two Three Investigators boxed sets and on a bookmark included in some paperbacks issued in 1981/82. SM: I had never seen the boxed set until I visited your Three Investigators web site. I was apparently screwed out of ancillary payments I should have received for the reproduction rights. STS: In general, how are artists paid for their work on something such as this series? SM: Most artists receive a flat fee for what we call "reproduction rights". The artwork belongs to the illustrator unless he or she negotiates a deal on their own. Royalties usually are paid in addition to a flat fee (though the fee may be a bit less depending on the royalty percentage). Royalties may be as low as 2% on the amount after the edition has covered the initial flat fee. Author/illustrators can expect up to or more than 10%. STS: Up until a couple of years ago I had always assumed that a publisher bought or owned the art/illustrations that were used in books but obviously this is not the case. SM: Actually you would have been correct if this were the 1950's or even the 60's. This indeed may be the reason you don't find these old interior black and white illustrations around [referring to Harry Kane's work]. The publisher periodically discarded old material to store more current work. And having no "HEART" did not return it to the illustrator. Instead they threw it out with the rubbish or employees took what they wanted. An unfair system to be sure. STS: So publishers basically lease the art so-to-speak while the artist has the right to keep his art and possibly use it on other projects or sell it to private buyers. SM: Precisely. We have become the Masters of our own work. STS: Were you familiar with The Three Investigators series while growing up in the 1960's or did you read other series like the Hardy Boys or Tom Swift, Jr.? SM: No, I was totally unaware of The Three Investigators books, I probably read a couple of the Hardy Boys novels but they left no major impression. I was a comic book kid. I illustrated my own comics and by the time I was in high school I was doing small jobs for Warren Publications - they put out "Creepy", "Eerie", and "Blazing Combat" magazines. Though my favorite books as a kid were J.F. Cooper's "The Deerslayer" and "The Last of the Mohicans". STS: I'm curious how you entered into a career in art. Was it something you knew you wanted to do from a young age or did something or someone inspire you in your youth? SM: I was always drawing as far back as I can remember. I went to the High School of Art and Design and then on to Pratt Institute. When I graduated in 1973 I went to work as an assistant art director for an ad agency, but I lasted only six months, left happily and began my career as a free-lance illustrator. My primary influences were the Scribner novels with the Wyeth covers and interiors, and movie posters of the 50's and 60's. STS: I notice that a lot of your artwork revolves around nature/animal and historical subjects. Do you prefer to work in these areas because of an interest in them or is it just coincidence? SM: My style being relatively realistic it tends to be favored for these types of books. It is not a deliberate choice by me. STS: I do appreciate the help and information you've shared with me about your experience with The Three Investigators. SM: And I thank you for allowing me to revisit some of my early work. 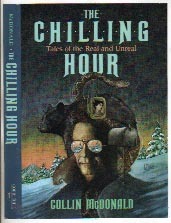 Born December 30, 1951, in Astoria, New York, Stephen Marchesi is a free-lance illustrator of children's books. 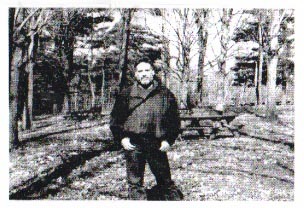 He resides in New York state with his wife Christine (a book designer) and son, Alexander. Member: Society of Children's Book Writers and Illustrators. Agent: Portfolio Solutions. STS (Seth): I was somewhat surprised to learn that as early as 1978 there were doubts expressed by the editor as to how much longer the series would be around. SM (Stephen): At this particular time these kinds of series fell into a period of diminishing sales, including The Hardy Boys, etc. STS: A woman by the name of Eugenia Fanelli was The Three Investigators editor at the time you were involved with the series. Do you remember her or know anything of her? SM: The name is not familiar to me and I would say that I probably didn't work for her. My contact was more likely an assistant editor specifically put in charge of the series. STS: 1978 was a pivotal year as there were several other artists involved with this series around this time: Jack Hearne, Herb Mott, Charles Liese (Scholastic), and Robert Adragna. Did/do you know any of these artists? SM: I've never met any of these illustrators and am only familiar with the work of Bill Dodge [Latest Issue cover art, 1998]. 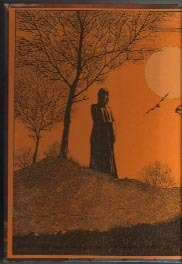 STS: Was the 1977 children's anthology "Alfred Hitchcock's Witch's Brew", for which you drew the endpapers and 11 internal illustrations, your first assignment for Random House? I assume that particular work was what led to The Three Investigators assignment. SM: It was the first time I worked for Random House. Once you start working for a team (editor and art director) they tend to stick with you until you screw up. They considered my covers for The Three Investigators series wonderful until they failed to spark sales considerably. 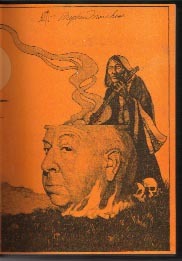 As you probably already know, the cover of "Witch's Brew" is not my artwork and appears to have been around well before this edition's appearance. Perhaps an interesting note - the Master himself had to approve the use of his likeness as the witch's pot in the endpapers. I'm told he was delighted and thought he never looked better. Many of the books illustrated by Stephen Marchesi are currently available through Amazon.com including his two most recently released books: "Martin Luther King - March on Washington" and "Ten Amazing People". I also highly recommend "The Glow-In-The-Dark Night Sky Book" from 1988 which is readily available on-line. To view nine of the 12 original Marchesi Three Investigators paintings and to find out more about them, please click HERE.